The project LIFE Berlengas will contribute to the sustainable management of the Berlengas Special Protection Area (SPA), aiming the conservation of its habitats, seabird populations and endemic plants. Berlengas is a small archipelago located 5.5 nautical miles (about 10.5 km) off Peniche, and is composed by the Berlenga Island and associated reefs, in addition to the Islets Farilhões-Forcadas and Estelas. Berlengas has an ecological heritage with high conservation value, both in terms of its insular ecosystem that encompasses endemic plants, protected habitats and the breeding grounds of endangered seabirds, as well as the surrounding vulnerable marine ecosystem, one of the richest across the Portuguese coastal waters. The complex geomorphology of the archipelago is also unique. The human occupancy of the archipelago over time has shaped the islands in many ways. The project LIFE Berlengas will contribute to the sustainable management of the Berlengas Special Protection Area (SPA), aiming the conservation of its habitats, seabird populations and endemic plants. To achieve this, the focus will be on developing strategies to minimize or remove the main threats to the natural values ​​of Berlengas, both on land and at sea. 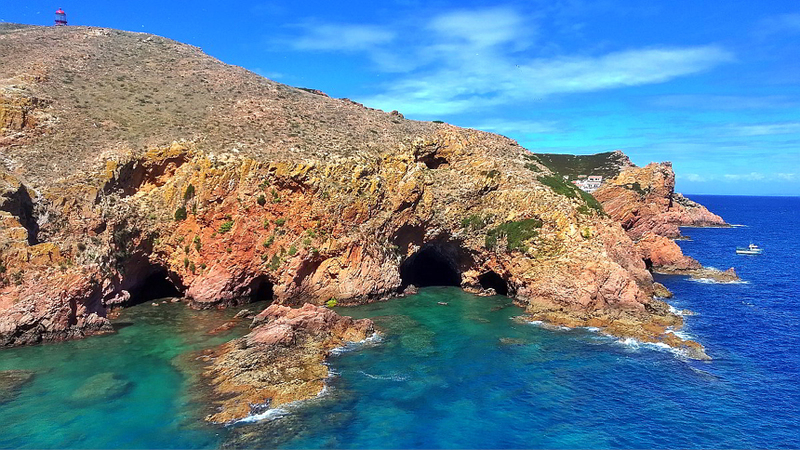 At the same time the project will promote the sustainable use of the Berlengas SPA, focusing on three key activities: fishing, recreational activities and tourism. A framework to prepare and approve an effective management plan for the Berlengas SPA will be implemented. "... the complex geomorphology of Berlenga and its islets is unique." The LIFE Berlengas is coordinated by the Portuguese Society for the Study of Birds (SPEA; Portuguese BirdLife partner), in partnership with the national Institute for Nature Conservation and Forests (ICNF), Peniche Municipal Council (CMP), the Faculty of Social Sciences and Humanities of the Universidade Nova de Lisboa (FCSH) and as an external observer, the School of Tourism and Maritime Technology from Instituto Politécnico de Leiria (ESTM).